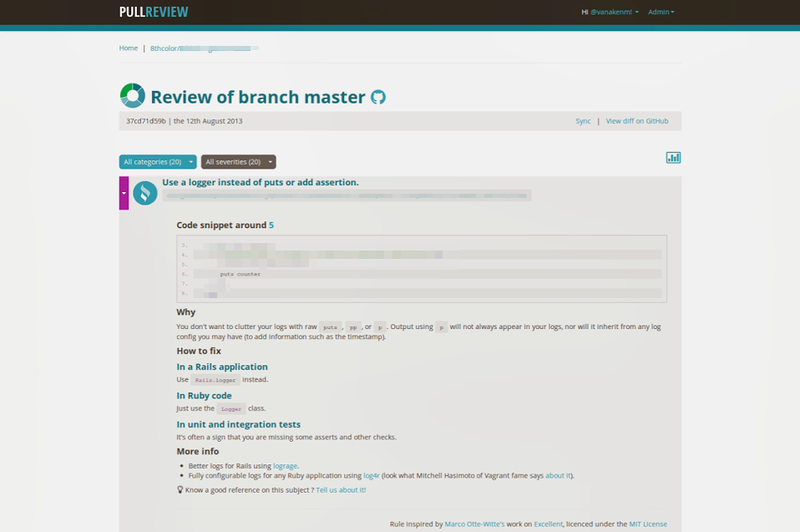 TL;DR: PullReview is close to Beta now. In this post we'll show you the ease of use, the code reviews, and how PullReview guides you to become a better Ruby developer. Some weeks ago, we lifted a small part of the veil on PullReview, our automated code review tool for Ruby on Rails in Github. We told you why we are in this game: you’re a programming hero, and we want to provide everything to be the most magnificent one you can be. 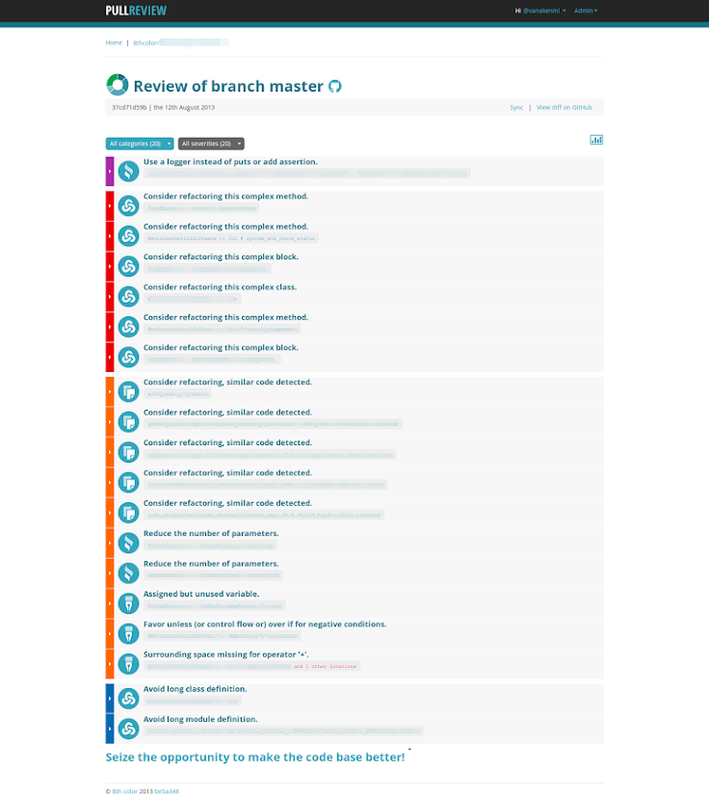 We think Code Review is essential – programming life blood. That is why we are developing PullReview. As our Alpha testers have driven us to a design we’re very comfortable with, we’re ready to show you some snippets of our Alpha version. This post has two goals: we want to show to you how PullReview is moving along, and we want to get you so curious that you’ll sign up to the mailing list: you’ll be on the front row when we go into Beta , we’ll have a shot at convincing you how PullReview is your new bestfriend for Ruby on Rails Code Review. • Every Hero’s got a Learning Curve. You should focus on your core: delivering great - smooth functioning - features to your users. Not setting up servers and installing a plethora of tools. Your time – and your flow – is too precious. The God Thor does not wait for the next train to get to his adventures. Equally, in programming, being the best you can be does nòt mean wasting time on coding activities that have nothing to do with your core competencies. 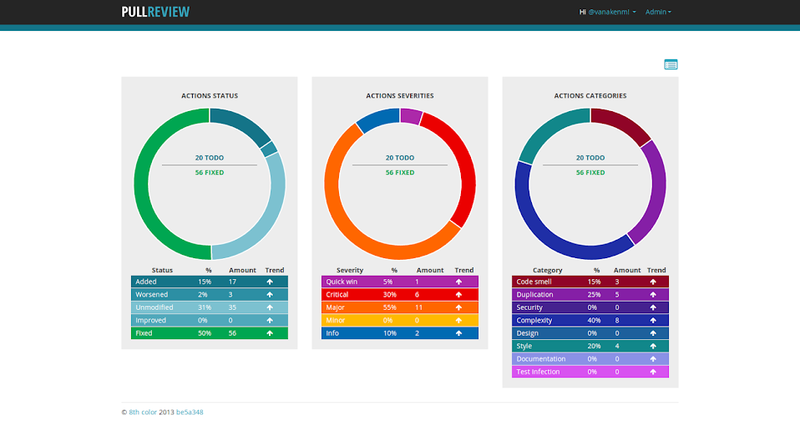 That’s why PullReview is SaaS - that’s why we have tried incorporating all relevant analysis in one tool. This way you get a good overview of the road you’ve travelled, the direction you’re taking now, and the one you should take. Everyone needs to learn, and Everyone needs to Learn at his or her own pace. That’s why PullReview - for starters - doesn’t just tell you what is wrong in your code: it tells you what to do to make your code better. Every time you have pulled a review, you can click each problem and see explained what is wrong exactly, and what fix PullReview proposes. Not the what, but the how and the why. That’s how we all learn best. Secondly, everyone has his or her very own flow. It is exactly this flow that makes it a real pain in the *#$ to find a reviewer you can trust at a moment in time that suits your way of working. PullReview is ready when you are. 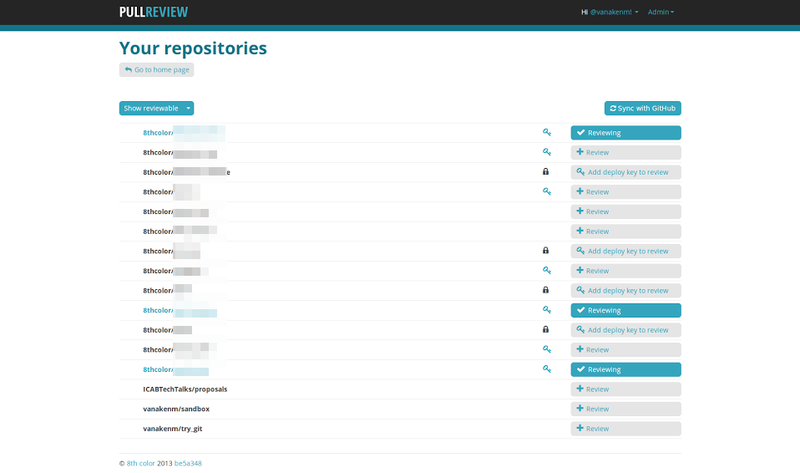 Not only does PullReview’s availability help you improve more constantly, you can focus your time with your Peers for the larger challenges at hand: for the details that render your project truly magnificent. We are ready to help you in becoming a truly great programmer. Are you? Yes? Only one answer: subscribe to the Beta! As a final – important – note: we have everything to thank our Alpha testers for. They challenge us - day after day - to come up with the best Ruby Code Review we can deliver. Thank you all, it’s been – and still is – an exhilarating ride! We hope this post has tickled you to be the best you can be, we can only hope that PullReview will play a part in your journey!